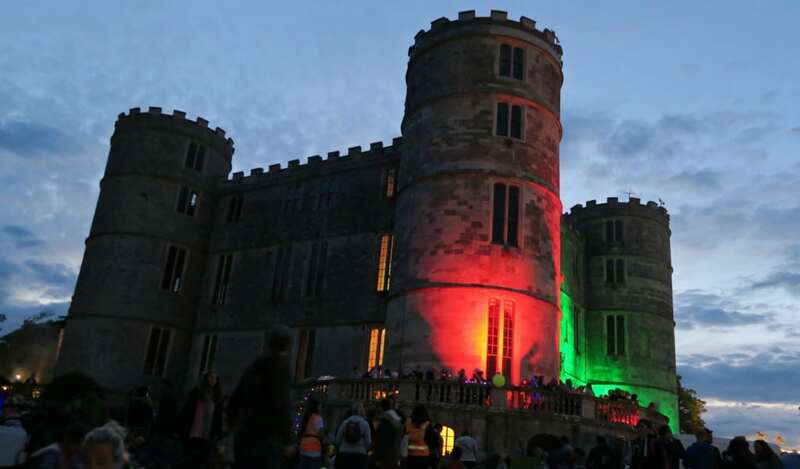 For the 2nd year running we headed off to Camp Bestival family festival at Lulworth Castle in Dorset. 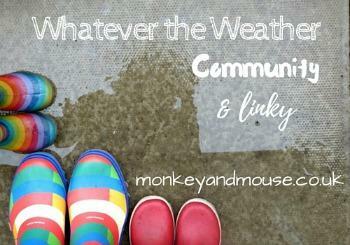 Set in a beautiful area, and for 2 years running we have had great weather. 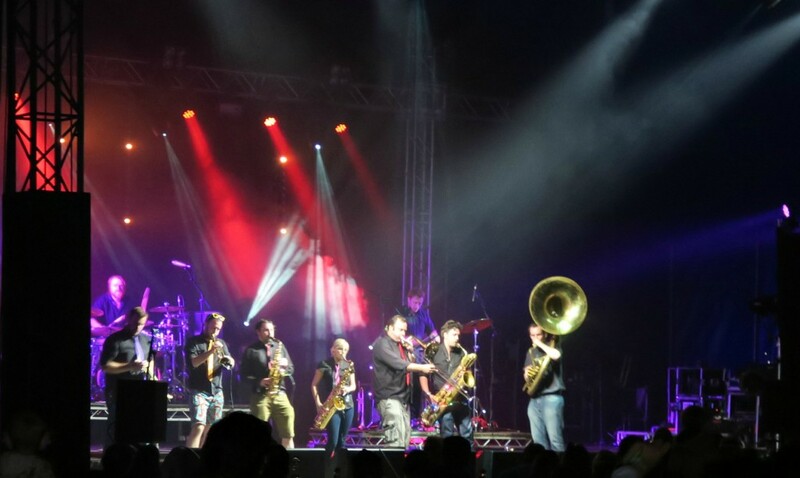 We have only done a weekend day visit to Camp Bestival, and up until last year we had never even done a family festival before! 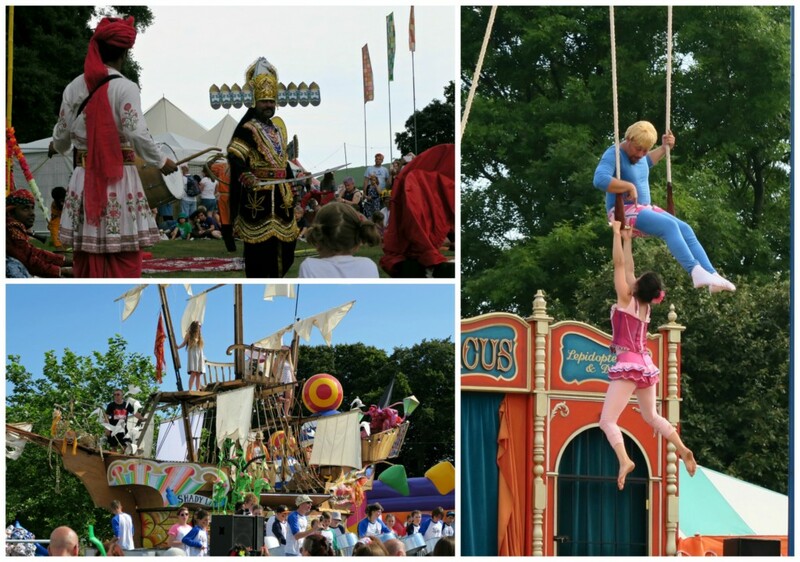 Camp Bestival has been voted one of the top family friendly festivals, and I can see why. It is huge, there is so much to do and lots of different areas to explore. 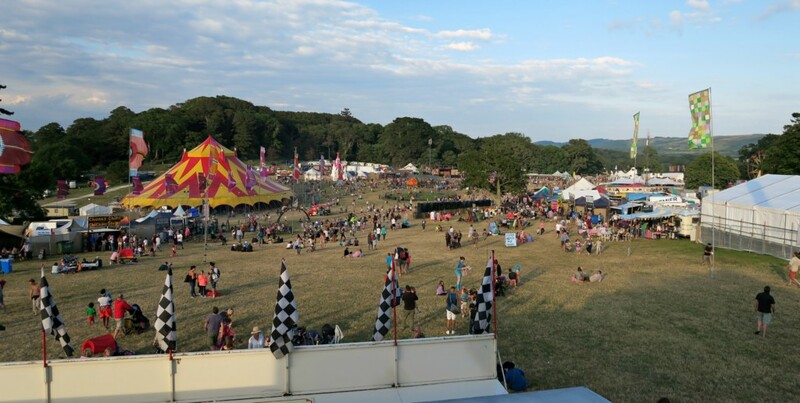 This is at the top of one of the fields and shows a very small section of Camp Bestival. 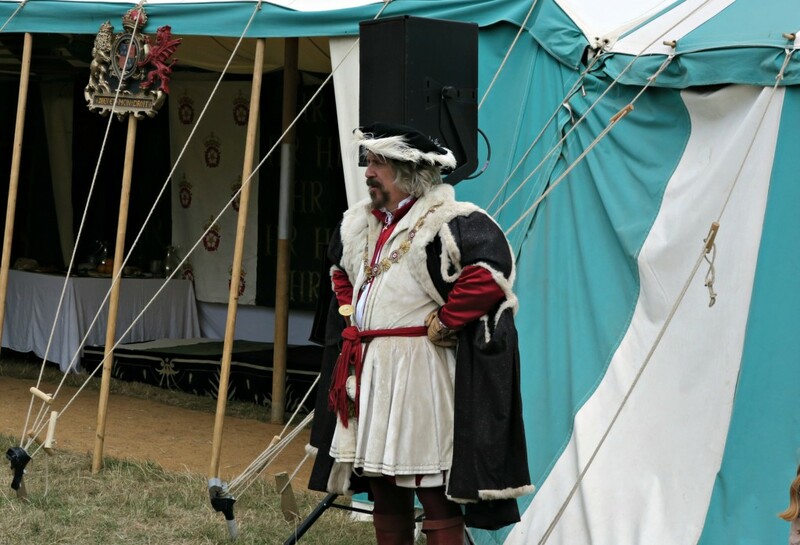 There are camping fields all around the outsides, main castle field where the main performances are, and the another large field with activities in. 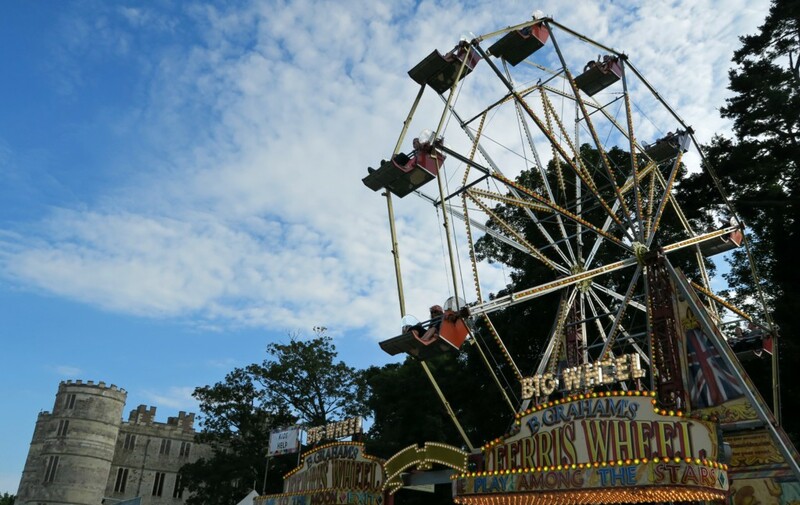 Each field is full of performances, food stalls, activity tents and a few rides. 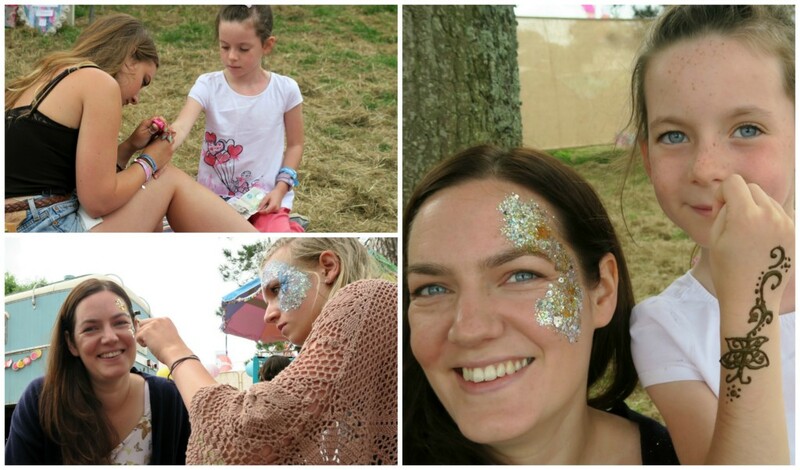 Although our first stop for me and Lily was to the glitter face paints and henna tattoos! It is perfectly acceptable for an adult to have glitter face paint at a festival, so I made the most of it! 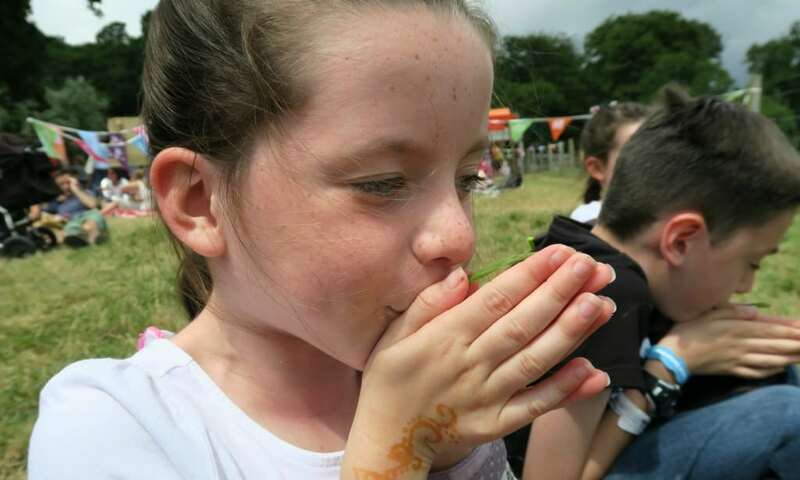 Lily loved her henna tattoo, she has never had one before, she picked her design and style too. However make sure you get one done when you’re not going to do anything for the next 30mins! We carried on with our day, and you have to leave it to dry and then the top layer comes off, leaving the stain. We kept knocking and smudging it! 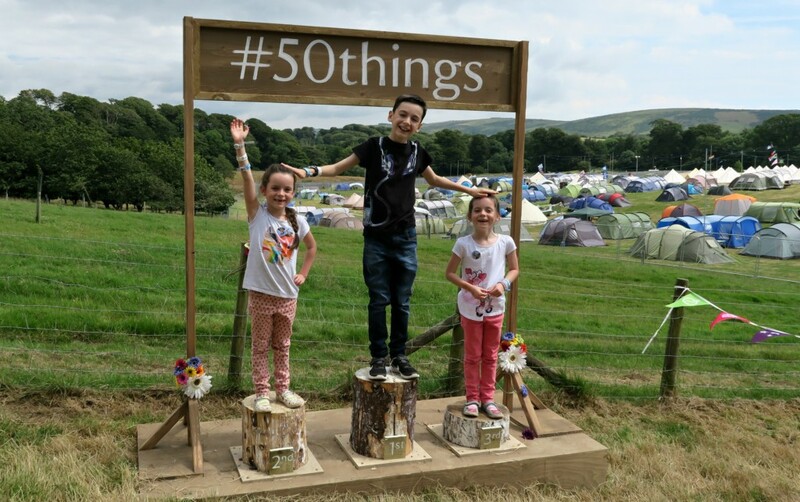 This year we wanted to try and make sure we did things that we didn’t do last year, new for this year (well I think it was as I never saw it last year!) was the Tudor Village. This was done by Historic Royal Palaces, I have never heard of this group, so was really interested in what they had put on. People were dressed up in costumes and teaching the children all sorts of interesting things. 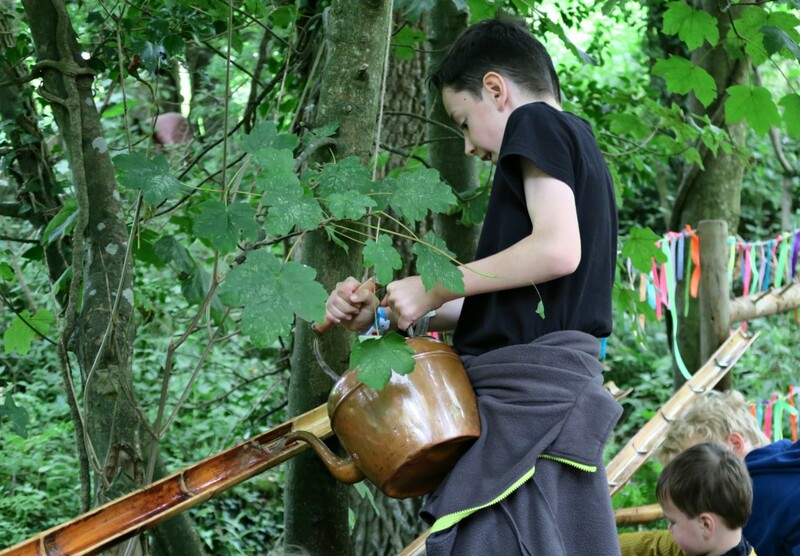 We had candle making, Tudor games, shooting a crossbow, cooking meat over a fire and then fun history lessons. The one we joined in with which taught us how to make a castle, they used people as walls, gatehouses and bridges! It really gave the children a practical way of learning about something, that normally they may have got bored listening about. I learnt lots too! Next we ventured off to find Dingly Dell, we never found this section last year but I really wished I had. 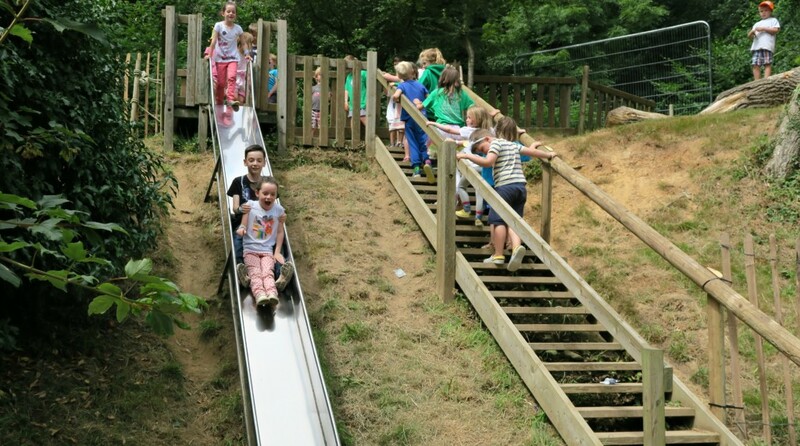 This area is situated in the woods, there are various workshops that the kids can do, and play trails to play on. 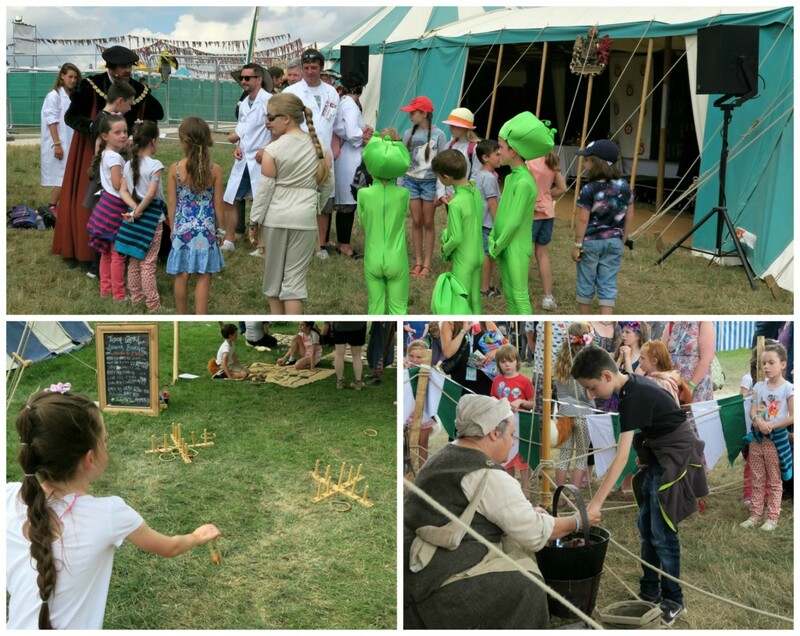 In here you have mud kitchens, water play, reading nooks, puppet theatre, dens and proper festival fun! We didn’t spend enough time here, you could easily spend half a day in this area, doing all the activities and still want to come back the next day and do more! 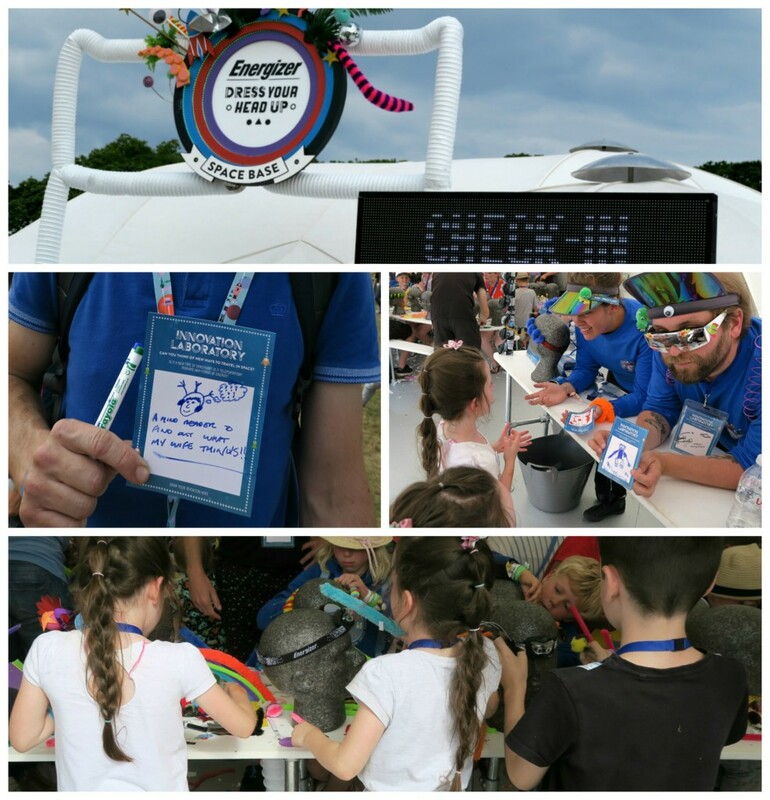 We visited the Energizer tent, they give you a head light to decorate however you want! My kids loved this, so they happily stuck everything they could on their headlight! Even hubby enjoyed it and made a mad creation! We had to come up with an invention whilst we queued up….hubby wanted to make a ‘A mind reader to find out what my wife thinks’ I don’t think so hubby….I like to keep him guessing! 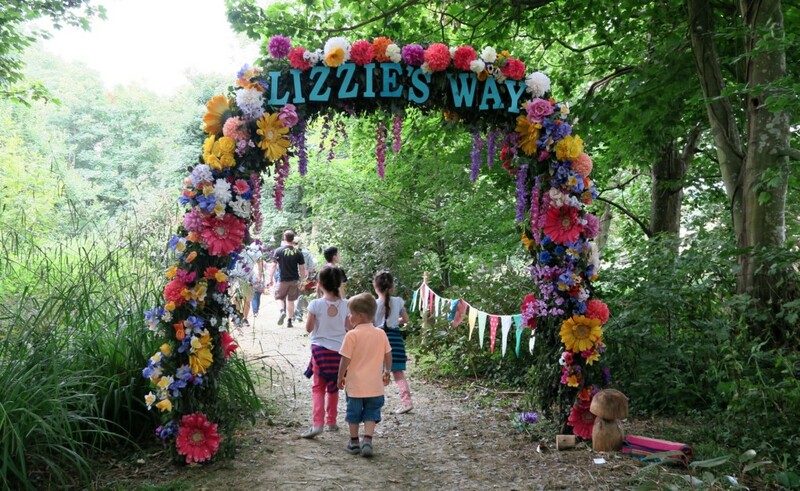 I love the fact that when you’re walking around Camp Bestival you come across different acts, performances, places to go into and you never know what you’re going to find! We couldn’t resist taking a visit to The Wall of Death you do have to pay extra for this (£2.50) each, but it was well worth it! They were amazing to watch, you have to be there to be able to witness and to get the impact of it. The noise and feeling of being at the top of the wall, looking down on them as they are driving right underneath you, is undescribable. The children could not believe their eyes when the man was riding his bike, with no hands and around the wall! Something they won’t ever forget. It doesn’t stop when it turns dark, Camp Bestival comes alive, new things start happening. 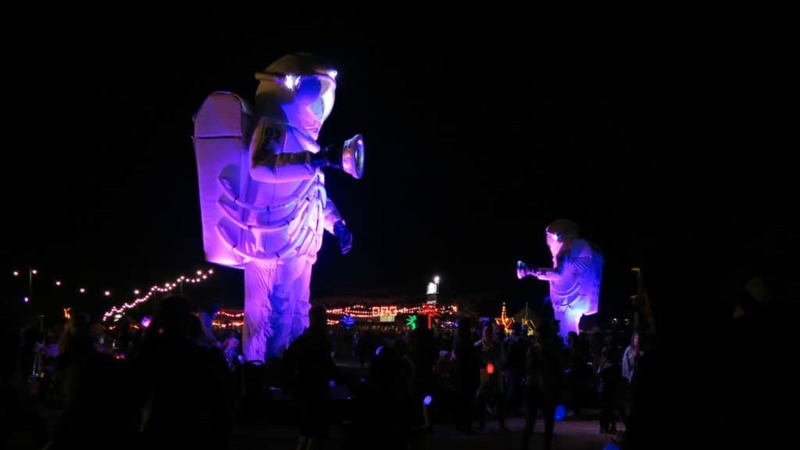 I loved the big Astronauts in the daytime but I think they looked amazing when they were lit up. 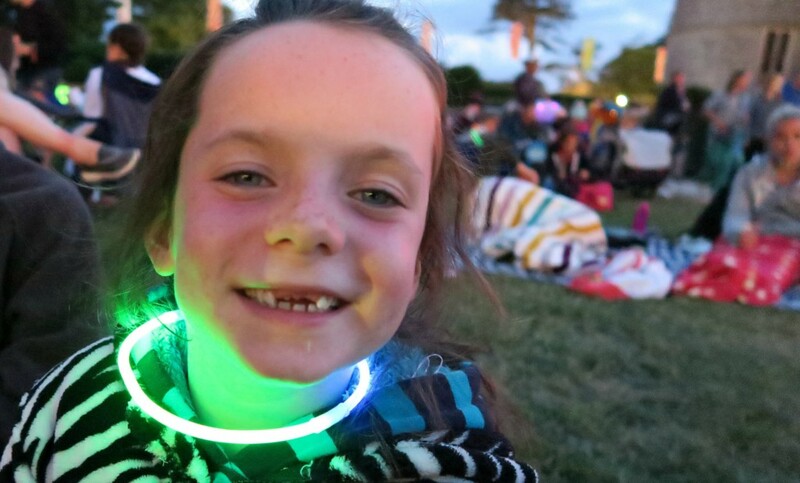 Tip, purchase some glow sticks before hand to take with you and snap them on for the kids come the evening. Not only do the kids love them, they are fun and you can use them to keep your kids lit up and see them better. and just as we were leaving we spotted this, how pretty does this look. All lit up, and with the sign in the background. We had a lovely day together and I love that I have taken my kids to such an amazing, fun and kid friendly place. 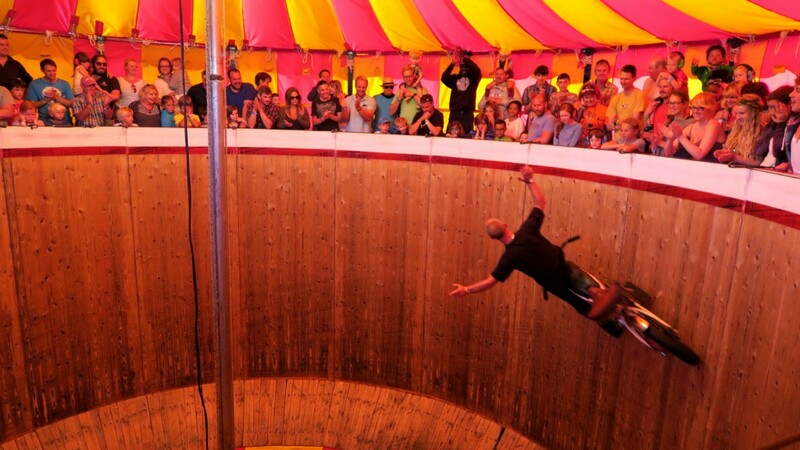 Tyler really wants to go back for the full weekend next year….. 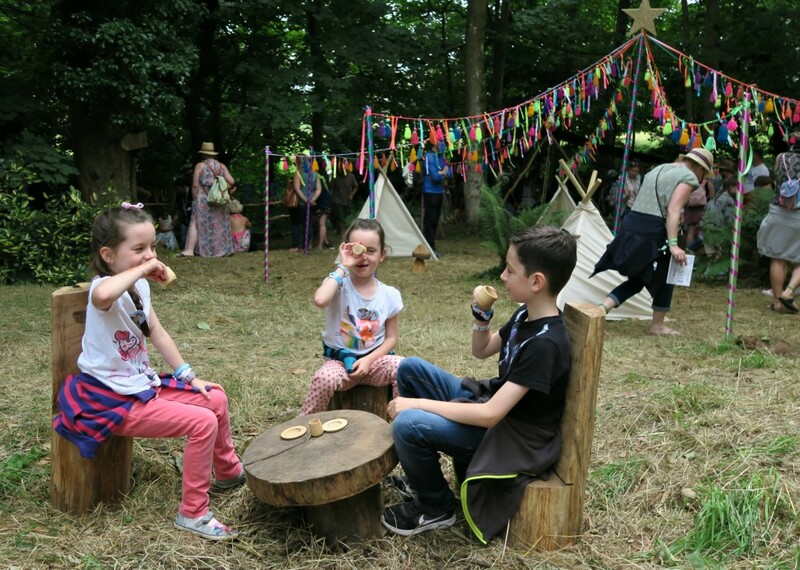 I have seen quite a few bloggers that went to Camp Bestival and it looks like everyone had a lot of fun! 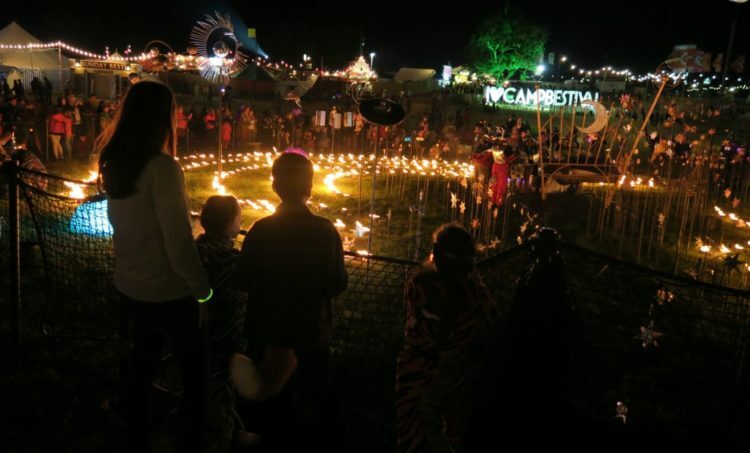 Now this is how I would like to experience Camp Bestival, ie a full day of fun, staying late into the evening but then going home to a nice bed and en-suite! the Tudor village is something I’ve not seen anyone mention before and it sounds really well done. 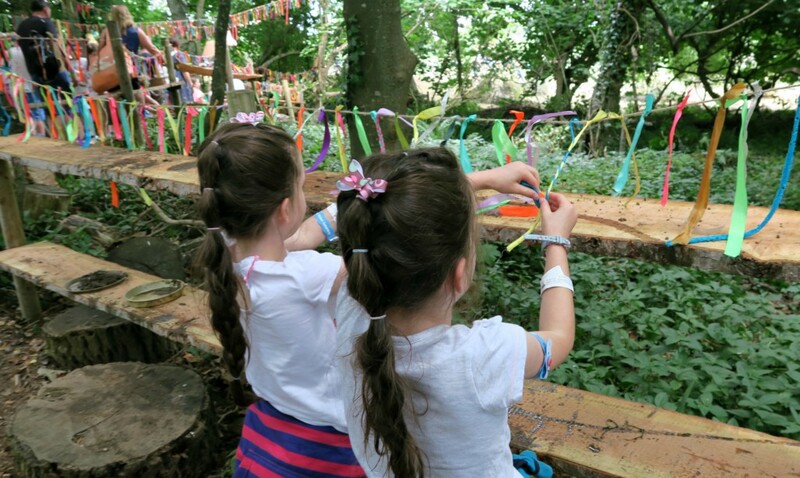 Dingly Den and Lizzy’s walk would really appeal to me, they sounds like the wild areas of Coombe Mill with our den building, mud kitchen and fairy garden. 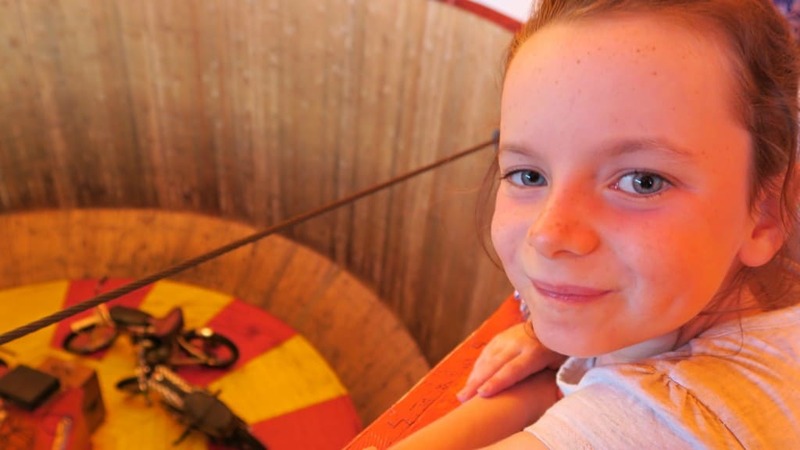 I love how Camp Bestival have people on hand to help the children enjoy the facilities.